Mark joins the Melton team as an estimator having worked 35 years in the construction industry. 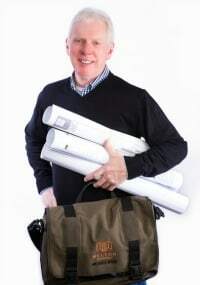 He brings with him a number of certifications including the OSHA 30Hr Safety Certification, General Contractors Supervisory Certificate, General Contractor “B” License in Denver and Boulder, as well as being a Certified Cost Consultant (CCC). Mark has a varying range of construction experience in commercial, medical, federal government, and historical renovation to name a few. Originally from Missouri, he gained most of his experience in the St. Louis area before settling in Colorado in 2009. Mark is just as diverse with his hobbies and interest as he is in his career. In his spare time, he likes spending time in the outdoors with his wife Tricia on long bikes rides and hikes with their dog “Maize.” He also plays guitar in local bands, builds custom furniture and stays active on the tennis court.